So my mom asked me what I wanted for my birthday..... I sent her a link to the wildcat. 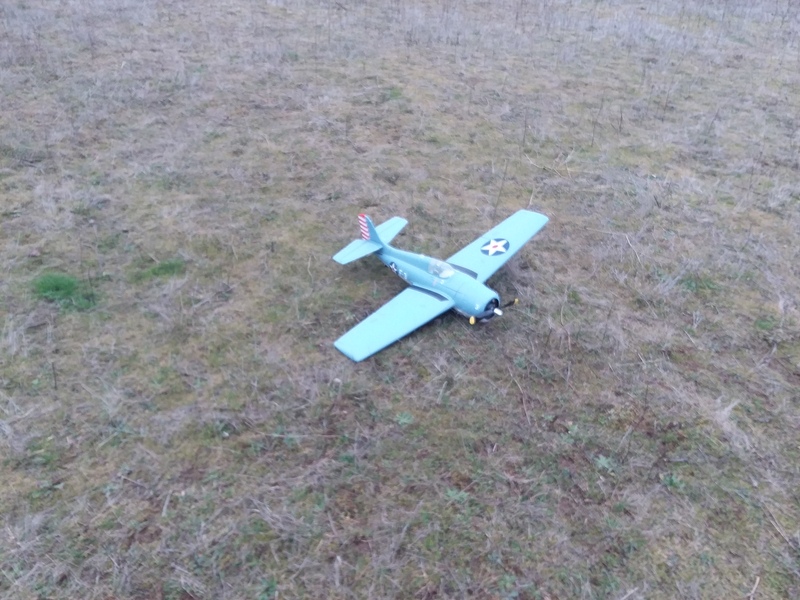 It came in a big box and I put it together in 5 minutes and flew it for the maiden with @Samh. That was a month ago. 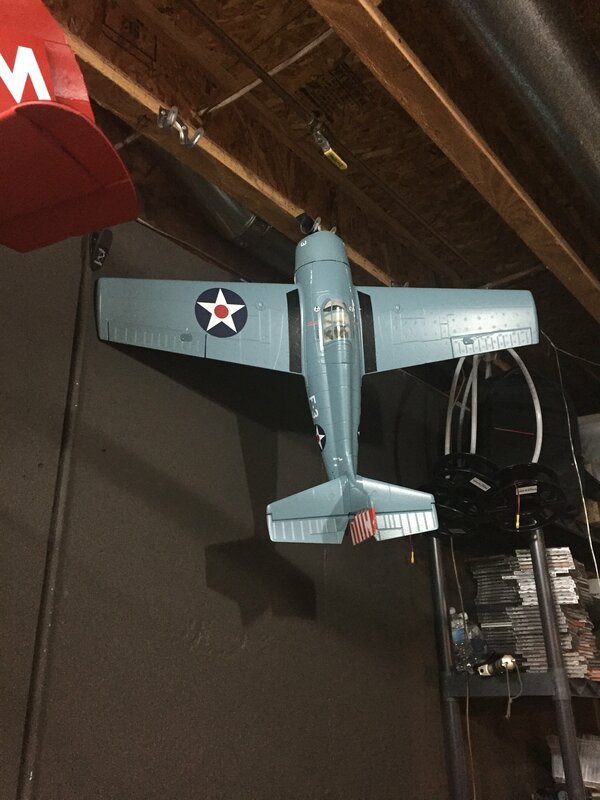 I have about 15 flights in now, and I can say buy the wildcat! Everybody needs one in their hangar!!! It has a gentle stall. And gobs of power... I maybe hovered mine..
Sweet! Congrats. Keep it up! Thanks. Me and my dad didn't use the ailerons for a few minutes and flew it 3 channel. It flew like it was meant to do that! How big is this thing and where did you buy it? My mom didn't want to but it from horizon so she ordered it from Amazon for 130 bucks. Anything bigger than a 1800 3s in it will sacrifice performance. It is 1.0 meters in wingspan. So 1000mm. Looks like a awesome plane and video of it in the air? I need to get a video. I have been sick since the weekend so no leaving the house. Hey, I've got one of those too, AND I got mine from a good friend on MY birthday! It and the Night Radian are the reasons I now have added a Spektrum radio to my gear. I agree, it flies nice and easy. I was surprised how well it slowed down! Take her up to altitude and dive it with full power. Cut the throttle as it gets closer to you and gently pull back. It sounds like the real deal is crashing down on ya!! Now that FT has newer build techniques they should make this the next warbird FT design. I LOVE the way the wildcat looks! Ouch hope you get better fast . Thank you. I have planes anxiously waiting to fly! Looks like something really special. Thanks for the video. @SquirrelTail I still want a video from you . I LOVE the fat fuse! I have fallen in love with doing 4 point rolls and doing big slow loops. And a slight chance there was hovering. Not gonna say it didn't happen. The manual only gives you low and high rates. My medium rates are 88% on all. And in the manual it says the model needs no expo. Horizon hit a home run with this one. Agh. I broke the cowl! I need to break out the glue. Yep done that before on my Corsairs and the trojan... its a pain for sure! Fiberglass tape from the inside works well. Sounds good! I am thinking medium CA and then taping it from the inside. That looks like afun one. I have the UMX Wildcat which is a great flier too. I had some bad experiences with my previous Horizon Hobby purchases and almost wrote them off completely. I bought the 2s UMX Wildcat on a whim locally and I could not be happier with it. That added with your post makes me want the larger version now. Definetly buy it! I get 6 minutes off a 1300 3 call and it flies perfect! Just on high rates it has a nasty tip stall in turns. My medium rates is 88% all the way around.